An expert diversity and outreach strategist, actively involved in the greater civic and corporate community. Terry Deas is responsible for leading the company’s overall diversity and outreach strategies. 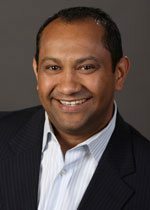 Before joining the company in 2012, Terry served as Director of Diversity & Inclusion at Ceridian Corporation where he was responsible for all aspects of the company’s Diversity & Inclusion (D&I) strategy. He also worked in a variety of leadership and management positions at Hewlett-Packard and the Allegis Group. Mr. Deas is actively involved in the greater civic and corporate community. He is a member of the Cracker Barrel Foundation Board of Directors and the Georgia and Texas NAACP Corporate Advisory Board. He is a also member of Kappa Alpha Psi Fraternity Inc. and the Monitors Club. From 2009 to 2010 Terry served on the board of the House of Charity, a non-profit in Minneapolis, MN that provides food, shelter, and assistance for individuals in need. A small business liason who brings the needs of minority communities to the forefront through supplier diversity and outreach. 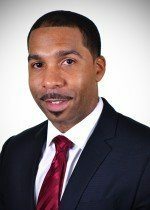 Brian Hall is responsible for Supplier Diversity, Diversity Outreach and serving as the Small Business Liaison for Shell and Motiva Enterprises in the US. Brian leadership expands into the community through volunteer roles with various organizations, including 13 years as Board Vice President of Theta Chi Fraternity, Lifetime Member of the Houston Livestock Show & Rodeo, as well as Founder and President of FridayHarbour.org, a Houston based non-profit organization providing free temporary housing for cancer patients/families seeking treatment in the Texas Medical Center. 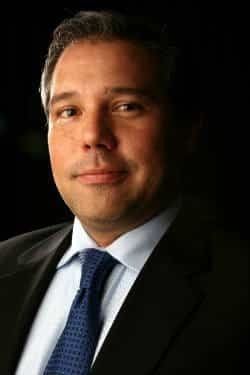 Miguel S. Gonzalez is the Director of Human Resources for The Boeing Company’s Government Operations office in Washington, DC. Gonzalez is responsible for leading a human resources team that supports Government Operations throughout the U.S. in talent acquisition and development and implementation of enterprise-wide human resources services. 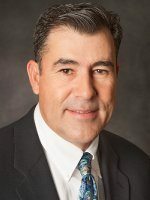 Previously Gonzalez served as Senior Human Resources Manager for Boeing Military Aircraft Vertical Lift in Mesa, AZ. In this role, he oversaw efforts to align human resources strategies with business initiatives. During this time, he also directed the implementation of a performance-based pay practice for non-salaried workers. Gonzalez has extensive knowledge in Global Diversity and Employee Rights practices and experience leading the implementation of affinity groups and affirmative action programs in business organizations. He also has led the development of leadership courses for new managers. Gonzalez holds a Bachelor of Science in Justice Studies from Arizona State University, Tempe, AZ. Heidi Moore joined Froedtert & the Medical College of Wisconsin in July 2014 as the Director of Emerging Markets & Inclusion. In this role, Heidi partners closely with the Marketing and Communications, Supply Chain, and Community Engagement departments to develop strategies to meet the network goal to touch three million lives and expand market share in the diverse communities served. Heidi reports directly to the Vice President and Chief Diversity Officer. Previously, Heidi worked at Northwestern Mutual where she was the Senior Diversity Consultant responsible for developing and implementing diversity strategy for the over 300 sales leaders and more than 7,000 sales representatives in partnership with the corporate office leadership. Prior to Northwestern Mutual, Heidi was the founding Organizational Development/Diversity Leader for the Kohler Company. Heidi is an experienced diversity and inclusion professional with more than 20 years of experience in business and sales, human resources, organizational development, and talent development. Before joining Kohler Co., she was the Chief Diversity Leader for eFunds Corporation in Milwaukee, Wisconsin. Additionally, she was a Business Development Manager for Deluxe Corporation headquartered in Shoreview, Minnesota and a Call Center Manager for Bank One in Milwaukee, Wisconsin. Heidi has a Bachelor of Arts degree and completed her master requirements at Columbia College in Chicago, Illinois. Heidi currently serves on the boards of Beckum Stapleton Little League, Prospanica, United Way Diversity Leadership Council, and Walnut Way. Previously, Heidi served on the board of directors for the YWCA of Greater Milwaukee, the African American World Culture Center, and The Business Council. She is also a recipient of the Black Excellence Award, was featured in Black Enterprise Magazine, and a YMCA Black Achiever. Abe Carrillo collaborates with the organization’s leaders and many functional areas across the company to champion the corporate inclusiveness strategy. 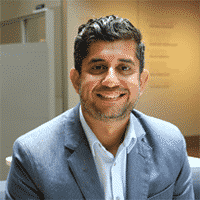 His responsibilities include leading the company's award winning supplier diversity program, overseeing eleven global ERG’s, implementing inclusive workplace strategies, and connecting these efforts with brand outreach to diverse markets. He also launched and directs the Herman Miller Academy, a career exploration and talent retention program designed to prepare local high school students for the workforce. 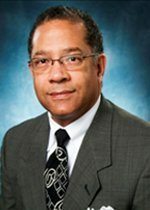 He is active in the community as chair of the Herman Miller Foundation’s Education Giving Board and serves on the boards of NHHC (National Hispanic Corporate Council), MMSDC (Michigan Minority Supplier Development Council) and GAAH (Grandville Avenue Arts & Humanities). A leader in developing employees and advancing the needs of the Hispanic community. Lupe Alcala began her career with State Farm as an Auto Field Claim Representative in Moline, Illinois. Throughout her 17 years with the company, she has held various leadership roles including Auto Claim Central Team Manager for the first-ever Language Advantage team in Illinois where she led a team to provide premier in-language assistance to Spanish speaking customers. She is active in her community and currently sits on the National Hispanic Corporate Council Board of Directors as the elected representative for State Farm Insurance. Roger partners with the senior Human Resources team and functional leaders to develop the best global approach to Diversity and Inclusion across TJX that reinforces the commitment to an inclusive culture. Roger is responsible for developing and implementing strategic initiatives for Global Diversity and Inclusion at the enterprise level that align with the company’s business priorities. This responsibility aligns perfectly with the work Roger has done throughout his professional career at both State Farm Insurance Companies and Walmart. Roger has held leadership responsibilities in various resources groups with his previous companies. In the past, Roger has been responsible for developing strategies and plans to implement company priorities with a variety of community groups. Roger is involved in the community and has also been involved with NHCC at a former chair of the Education Committee and chair of various subcommittees helping to design NHCC summits. Salvador Mendoza is responsible for the development of short and long-term strategies in the areas of Workforce Development with a focus on enhancing the company diverse and inclusive culture; Community Investment by building and maintaining partnerships with diverse organizations and management of NBCUniversal employee resource groups, with over 30 chapters throughout the country.Among his many accolades, he has been recognized as one of Hispanic Business Magazine 100 Most Influential Hispanics, the Black Meetings & Tourism APEX Award for Distinguished Service, the Disability Champion Award and Chicago State University’s Latino Alumni Award. Mendoza and his wife Nina have two children, Daniel and Vivian. María Carlota Palacios, LCSW, M.A. Maria Carlota Palacios manages Williams’ employee-driven philanthropic programs and grants in the southern states of Texas, Mississippi, Louisiana, Alabama, Georgia, South Carolina, and Florida. She executes philanthropic and grant programs that support business strategy, enhancing relationships, researching and recommending community engagement projects that would enhance Williams’ relations and reputation with its customers and local communities. Much of her time is spent establishing and cultivating relationships with local public officials, key stakeholders, identifying emerging issues and developing risk mitigation strategies as part of her community outreach. She supporting Williams’ operating areas by meeting public relations needs, and providing capital project support, including responding to local media, local municipalities, non-governmental organizations, special interest groups and others as needed. Palacios has served in many nonprofits organizations in the last 20 years. Currently, she is a volunteer at the Neighborhood Centers in Houston. One of the “Top 100 Executives in America” focused on managing world-wide workforce diversity. Maruiel Perkins-Chavis is responsible for establishing the strategic direction, development, implementation and management of world-wide workforce diversity, work-life initiatives, engagement, and workplace programs. She has over twenty-five years experience in the human resources area with expertise in staffing, talent acquisition, leadership development, diversity, equal employment opportunity and affirmative action. 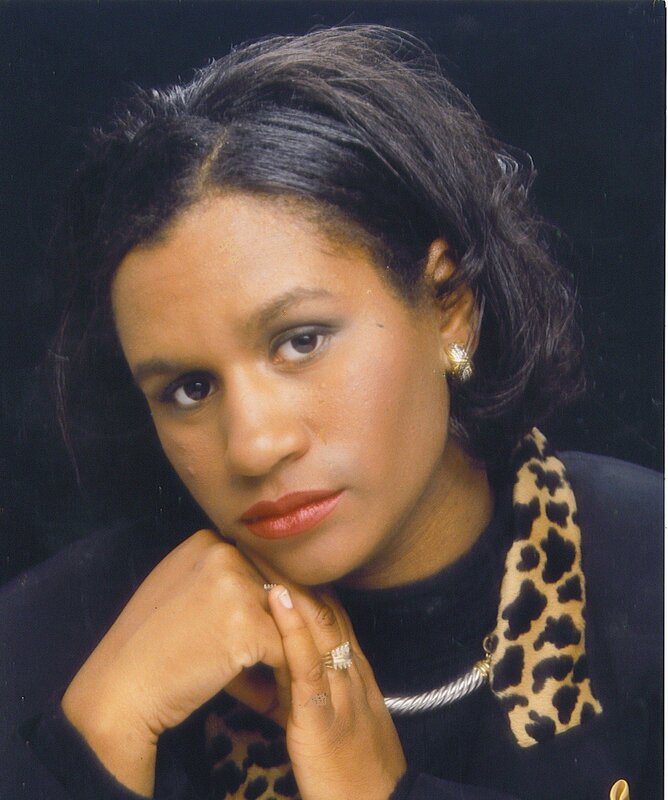 Mrs. Perkins-Chavis was instrumental in the design and execution of the Leadership Education Series, Women and Minority Leadership Talent Development Inventory, Leadership Development Workshops and Executive On-Boarding Program. She is a member of the Society for Human Resource Management, serves on the Shambaugh Leadership Group Executive Advisory Council and National Hispanic Corporate Council (NHCC) Board. In 2007, she was presented with the first ever Dave M. Sampson Diversity Award for demonstrating diversity excellence. In 2009, she was selected as Working Mother of the Year by Working Mother Magazine and in 2012 UPTOWN Professional magazine selected her as one of the “Top 100 Executives in America”. Manny Santos is a three-time Emmy Award-winning bicultural & bilingual media professional with over twenty years of experience in Marketing, Advertising, Public Relations and Corporate Communications, as well as Television and Video Production & Distribution. He currently is a Divisional Vice President for PR Newswire. He oversees all sales and business development efforts for a wide portfolio of marketing, multimedia, broadcast and monitoring media solutions designed to distribute content that reaches and engages General Market and Multicultural audiences. From Fortune 500 corporations and non-profit organizations to Marketing & PR Agencies in the U.S. and Latin America, Mr. Santos provides creative strategic counsel, coordination and execution of interactive marketing and PR initiatives - in both English and Spanish - that combine traditional and emerging communication tactics driving brand awareness, engagement, and increased audience reach. PR Newswire is the premier global provider of multimedia platforms that enable marketers and corporate communicators to leverage content in order to engage their key audiences. Having pioneered the commercial news distribution industry 60 years ago, PR Newswire today provides end-to-end solutions to produce, optimize and target content — from rich media to online video to multimedia — and then distribute content and measure results across traditional, digital, mobile and social channels. PR Newswire serves tens of thousands of clients from offices in the Americas, Europe, Middle East, Africa and the Asia-Pacific region, and is a Cision company. Prior to his work in the Marketing and Public Relations fields, Mr. Santos worked as a Television Producer and Director. His TV production background ranges from news programs and documentaries to entertainment programming and commercials. Mr. Santos’s extensive roster includes multiple productions for broadcast entities such as NBC, HBO, PBS, Univision Spanish Network and Madison Square Garden Network. Mr. Santos is also a dynamic public speaker and moderator; he is sought after for his expertise in Media, content development and distribution, multimedia trends, video production for multiple platforms, as well as for innovative tactics and strategies in Marketing and Public Relations reaching diverse and Multicultural Markets. A native of Bogotá, Colombia, Mr. Santos moved to the United States to pursue his university studies and graduated with a BA in Television / Film / Advertising from the University of Houston.